When i need my head clearing, my fibro pains are bad, or i just need to regroup, chill and relax, this is the scent i love to relax in! The heady scents of Eucalyptus, rich and spicy Lavender , patchouli, ho wood and shea butter make it an addictive combination that i keep coming back to time and time again, for me its like a treatment for body and mind as it can really help both so much. 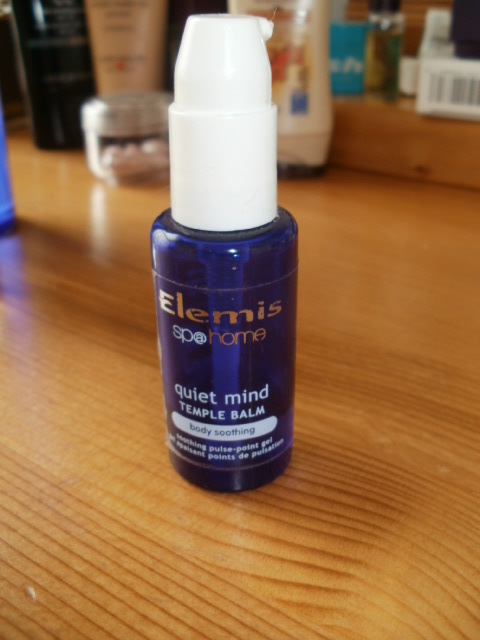 I have the Temple Balm too which i use on my temples and wrists so i can keep getting a whiff of the scent all night long, it is a pretty powerful head clearer, great to use on a stuffy head, blocked sinuses or a cold even, it a real head clearer! 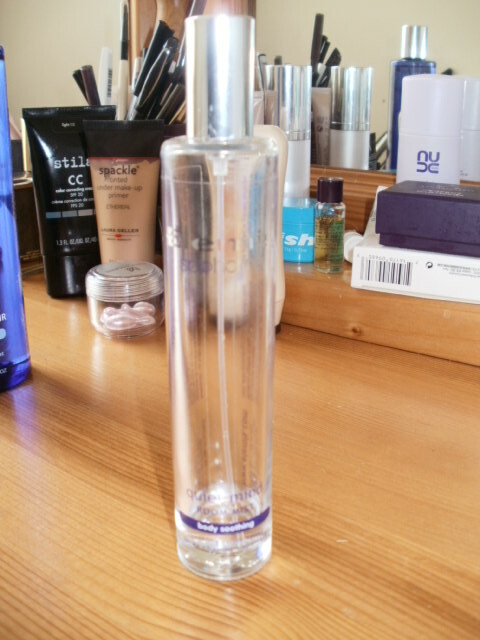 I olso have the pillow(lol) spray too but i don’t think i can get the pillow spray anymore for some reason *sob*, which is a shame because as you can tell its a scent i am pretty much hooked on lol, makes your bed linen smell amazing! Well those are my thoughts for today! What clears your head, relaxes you and helps you to get some sleep over a period of stress ? 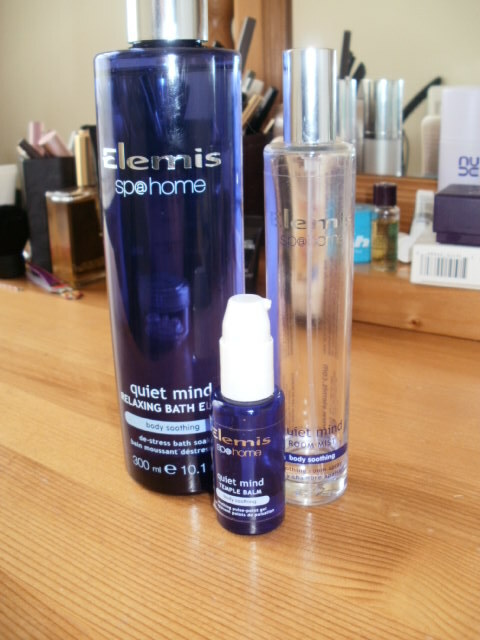 This entry was posted in Fragrances, Health and Beauty and tagged De-Stress, Elemis, Eucalyptus, Lavender, Quiet Mind Bath Elixir, Relaxing, Temple Balm, TimeToSpa on October 9, 2014 by the40somethingbeautyblogger. 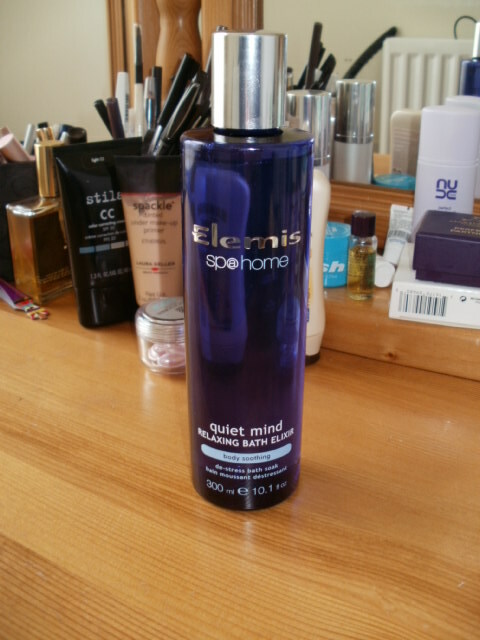 I like the idea of the pillow spray, always need something to help me sleep. Sounds like a great set of products perfect for relaxation.